We choose to bring things into our lives and homes to make us feel loved, secure, attractive, healthy, wealthy and wise. But how much of this stuff truly makes us feel loved and secure? Is it living up to my expectations? Is it delivering my hopes and dreams or is taking control of my time and space? Clutter gets in the way, no longer used, we moving it; store it and waste time looking for it. Clutter has the power to make us feel depressed, annoyed stressed and costs money. A survey found that 25% of the people surveyed have about 7 boxes they have not unpacked since they moved. Source STUFF HAPPENS- Josh Fear- Australian Institute 2008. There is a growing trend around the world where people are overwhelmed by stuff, to the point where they cannot function in their homes, cannot find things, so they buy more, adding to the vicious clutter spiral and our carbon footprint. I have not unpacked it, used it or moved it, how important is it, and does it deserve valuable space in my life? “Four in ten Australians say they feel anxious, guilty or depressed about the clutter in their homes. Women are much more concerned about clutter than men: almost half of the women surveyed said they were anxious, depressed or worried about the clutter in their home. A third said they were embarrassed by it, indeed 59 per cent of women said there was a room in the house that they don’t like visitors to see because of the clutter” Source STUFF HAPPENS- Josh Fear- Australian Institute 2008. If it has taken ten years to accumulate the clutter, do not expect to sort it in one afternoon. You can certainly hire a skip bin and throw everything out, but that is not responsible decluttering. Too often we see treasurers throw away, causing real pain and stress. 3 sturdy containers as cardboard boxes, tubs labelled stay, donate and return. Always start small; empty a drawer or a shelf at a time. 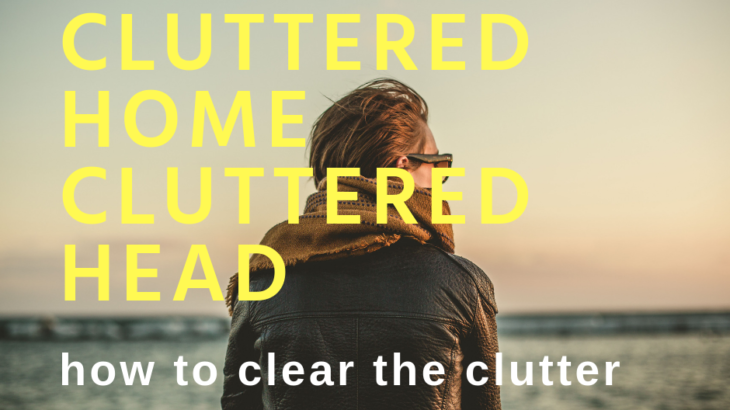 Failure to complete a declutter project often occurs when everything is pulled out, this has a tendency to leave you feeling overwhelmed and drowning in clutter. Returns -Items that do not below in this space; they live elsewhere or belong to someone else and need to be returned. Once you have finished sorting and decluttering the space, that is when and only then you return the contents from the returns container to their relevant homes. Guaranteed if you interrupt this process and return items before you finish your space, you are less likely to complete the space. Quickly clean the space and only put back the contents of your stay container. Place recyclables in the recycle bin, donate quality items, and remove these items from your home as soon as possible. Home Organising Tips and Tricks cluttered, decluttered, homes, how to, stuff. permalink.